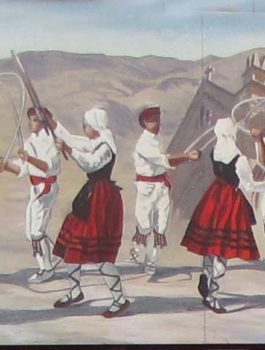 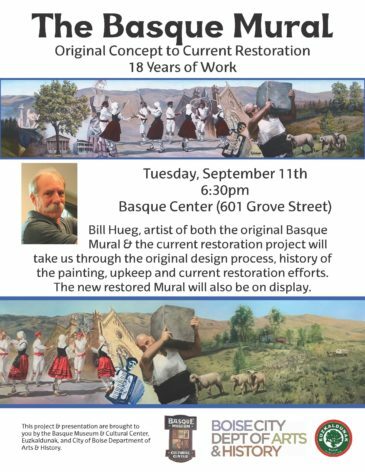 Join us in welcoming back Bill Hueg as he shares his experiences in creating and restoring the Basque Mural. Bill Hueg, artist of both the original Basque Mural and its restoration, will take us through the design process from 1999/2000, history of the painting, upkeep over the last 18 years and the current restoration project with the City of Boise Department of Arts & History and the Basque Museum & Cultural Center. 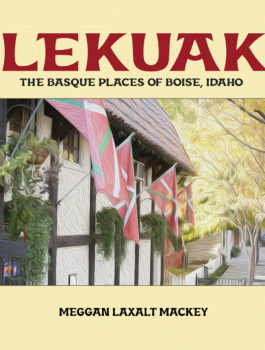 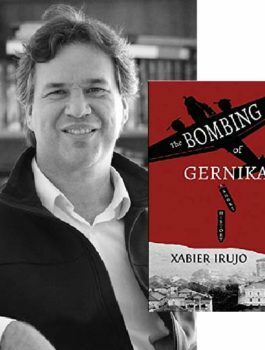 This event is sponsored by The Basque Museum & Cultural Center, City of Boise Department of Arts & History, and Euzkaldunak.